Apparently Nikon has seen the light and is trying to play catch up to Canon's Diffractive Optics lens lineup. 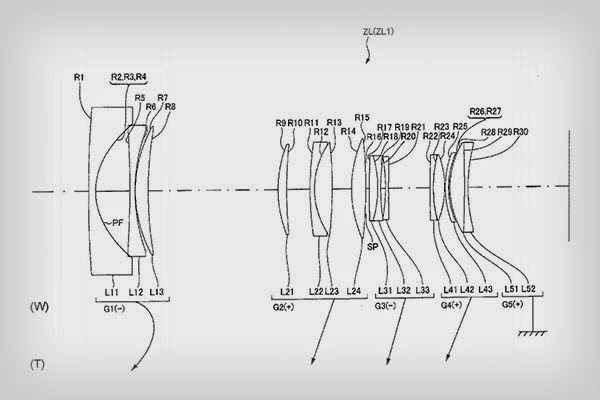 A newly discovered patent shows a Nikkor 24-70mm f/2.8 lens with a Phase Fresnel element although it was filed back in May, 2014. Nikon plans may also include a 200-400mm f/4-5.6 , 16-30mm f/4.3-5.6 , and a wide angle, tilt-shift PF lens in the future. Their Phase Fresnel (PF) 300mm f/4 lens was announced in January of 2015. Weighing approximately 1.66 pounds (755 grams), the new lens is a light weight, full frame, prime lens.